Abd al-Rahim al-Nashiri is a suspected al-Qaeda member incarcerated in Guantánamo and represented by Nancy Hollander. In the ’60s she worked as a community organizer in Chicago, writing about the struggles of the city's poor. She protested the Vietnam War and gave speeches about the importance of civil rights. She says her activism attracted the interest of the FBI and CIA, who kept tabs on what she was up to. In 1971, she moved to Albuquerque, where she attended law school at UNM. Hollander is one of the nation's leading criminal defense attorneys. The mother of one and grandmother of two helped defend Wen Ho Lee, a Taiwanese American indicted by a federal grand jury for stealing nuclear secrets for the Chinese government. Lee was eventually found innocent of all charges, save for one count of improperly handling restricted data. Hollander now faces perhaps her greatest legal challenge yet. She represents two prisoners incarcerated at the Guantánamo Bay detention camp. One of them, Abd al-Rahim al-Nashiri, stands accused of being the mastermind behind the USS Cole bombing in 2000. He was one of three Guantánamo prisoners subjected to waterboarding, according to former CIA Director Michael Hayden. Hollander says she doesn't know what evidence the government has against al-Nashiri. "We haven't seen it yet," she says while sipping a cup of coffee in the conference room of her top-floor office that overlooks Downtown. Hollander keeps her composure, but her visible frustration over the government's treatment of her clients slips through. Her voice rises and she flinches when speaking about the interrogation techniques used against her other client, Mohamedou Ould Slahi, who's been incarcerated in Guantánamo since 2002. A report by the Senate Armed Services Committee reveals Slahi was subjected to sleep deprivation for more than 60 days. The report says Hollander’s client complained he began to hear voices due to a lack of sleep. Hollander says military interrogators broke several of his ribs and, on a separate occasion, put him in a pitch-black room while Drowning Pool's "Bodies" played on repeat. The report also says Slahi was shown a fake letter stating his mother had been arrested, and if he was uncooperative, would be sent to Guantánamo. "He was very badly treated," Hollander says. She was contacted by a colleague in France who asked if she wanted to represent Slahi. Hollander says she'd wanted to get involved in one of the Guantánamo cases for a long time. Slahi was suspected of being involved in the plan to bomb Los Angeles International Airport in 2000. Hollander says the government has backed off that accusation but now says he was associated with the Hamburg cell—a group of radical Islamists that included militants involved in the 9/11 attacks. 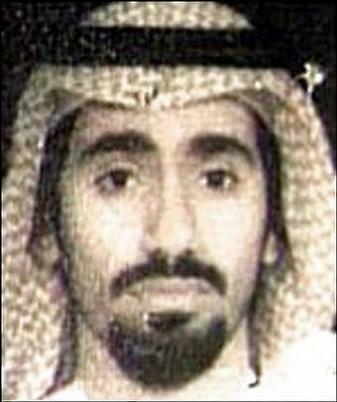 The FBI says Slahi is believed to have recruited several 9/11 hijackers. Hollander says the evidence she's seen against her client, who she’s been working with since 2005, is unconvincing. Slahi was in Montreal at the same time as Ahmed Ressam, the man convicted of devising the failed plot. According to Hollander, that's the only evidence that ties the suspected al Qaeda operative to the planned bombing. As for his connection to the Hamburg cell, Hollander maintains Slahi falsely confessed to being involved with the group after he was tortured. "We know from lots of research that people say what they need to in order to stop the pain,” Hollander says. “Torture produces statements, but not reliable statements." With little evidence to justify holding him, Hollander says she hopes Slahi will be freed and allowed to return to his home country of the Islamic Republic of Mauritania in northern Africa. Al-Nashiri, on the other hand, will likely be tried. The American Civil Liberties Union asked her to represent al-Nashiri and she's been doing so since 2008. Hollander says families of the victims in the USS Cole bombing want to see his case go to court. "They've got all these families who want revenge or retribution or to see the guy they think killed their family get justice." Hollander says she flies to Guantánamo about every other month. It costs her hundreds of dollars each time, and Slahi's case is pro bono. The ACLU picks up the tab for al-Nashiri. She can't describe what the prison looks like because, she says, it may be classified, but she says there's a Starbucks, a Subway restaurant and several gift shops nearby. The prison is on a naval base, after all. Any notes she takes during her meetings with clients are confiscated before she leaves Guantánamo. If she wants to read what she wrote, she must fly to Washington and look it over in a secure room. If one of her clients writes her a letter, she must once again fly to D.C. to take a peek at it. The information is considered classified by the government, but Hollander says that categorization is a smokescreen. "It's just a way to make it difficult for people to represent their clients," she says. Obtaining medical records for al-Nashiri has been difficult because the CIA won't release them, according to Hollander. "I don't know what treatment he's had, what medication he's on," she says. "He doesn't know. I mean, he can describe a pill, but that doesn't do any good." Though it causes her plenty of logistical headaches, she says her resolve to keep pushing through the red tape never weakens. "These are the most important cases in America," Hollander says. "If we don't bring back our justice system, then we're doomed. We need to set it right and we need to show the world that we really are a just and ethical society." If it were up to her, Hollander says, Guantánamo would have never opened in the first place. The best thing to do now, she adds, is get it shuttered. "The Bush administration believed they could lock people up, throw away the key, and there would be no law and no lawyers," she says. "That was the premise of Guantánamo. It was a dangerous precedent, and besides that, it's immoral and America shouldn't stand for it." In January, President Obama signed an executive order requiring the closure of the facility within a year. One of the most prominent arguments against closing Guantánamo is that terrorists would have to be brought onto U.S. soil. They could escape, the argument follows, and wreak havoc on the United States from within its borders. Hollander says there are already suspected terrorists, such as former Guantánamo captive Ahmed Khalfan Ghailani, who are imprisoned in America. "I haven't noticed any prison breaks, have you?" she asks. "It's just political hype. Nothing more." She's just trying to make sure the government plays by its own rules, she says. "I continue to press them to abide by the system they're supposed to abide by. I have to go through a lot of hoops, and say a lot of ‘Yes sirs’ and ‘Yes ma'ams,’ but sometimes you have to do what you have to do."